Phoenix Sky Harbor International Airport (PHX), dubbed “America’s Friendliest Airport®,” is one of the top 10 busiest airports in the country for passenger traffic. On any given day, more than 100,000 passengers arrive and depart at PHX. Despite its large volume of traffic, Phoenix Airport parking doesn’t have to be a headache. The Parking Spot has Sky Harbor Airport parking covered. Simply reserve a space in one of the two lots and hop on the free shuttle to head to your terminal. 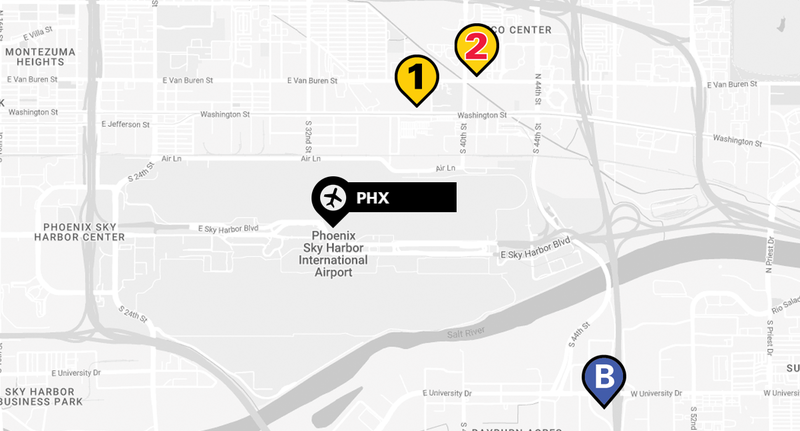 Enjoy stress-free Phoenix Sky Harbor parking on your next trip.